Our unity Sand Ceremony sets are one our most popular selling items. 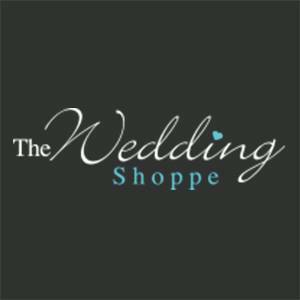 But even with its popularity we often get couples who come into our store asking us about the ceremony and the ways that it works. So with that in mind with thought it was about time that we wrote a blog explaining it all! The more traditional unity candle ceremony has been a part of weddings for years. It involves the bride and groom, or other members of their family, using individual candles to light a central candle as an expression of the couple’s shared commitment uniting their lives. The unity sand ceremony is a descendant of this traditional ceremony but instead of using a candle as the symbol of unification, flowing sand becomes the unifying symbol. The receptacle used to capture the flowing sand then becomes a cherished keepsake that can be displayed in their home and a reminder of the couple’s commitment to one another. The origins of the unity sand ceremony are unknown. But whatever its origins, the popularity of the unity sand ceremony took off after it was performed during the 2004 wedding of The Bachelorette star Trista Rhen and Ryan Sutter. Over 25 million TV viewers witnessed the performance of the ceremony and since then, interest in the sand ceremony has grown beyond measure and become one of our most popular unity ceremony items. Like the unity candle ceremony, the unity sand ceremony serves to represent the blending of the individuals’ lives into one. The blending of the sand is the visual representation of coming together as one. The separate sands once poured into the vase can never be put back into their separate vases. They are forever entwined just as the lives and loves of the couple. Some couples choose to leave a bit of sand in their individual pouring vases to affirm that although they are becoming one as a couple, they are still individuals with independent thoughts. If family members and children will participate in the sand ceremony, the pouring of each individual’s sand affirms that each is committed to functioning as one family unit. For blended families, the sand ceremony provides an ideal opportunity for all members to feel they’re an important part of the proceedings and the newly-formed family. Sand – a different colour of sand for each person participating, the amount you’ll need depends on the size of vase you’re trying to fill so keep that in mind when ordering! A pouring vase – (because not all of sets come with pouring vases!) for each person participating in the ceremony. Make sure that it has a narrow enough opening so that it will pour cleanly and easily. The unity vase – the set that you select should complement your overall wedding theme. But also, keep in mind that you’ll want a vase set that you’ll love for a long time because it will become a keepsake of your heart felt ceremony and wedding day. We have many different ceremony sets to choose from so there is sure to be one that suites your particular style and theme! The beauty of the Unity Sand Ceremony lies in its simplicity. All you really need are colored sand and some vases. But making the ritual as beautiful and meaningful as possible requires some careful consideration. Would a heart shaped Sand set, for example, be the best choice for you? What set fits better with your personal style and home decor? Not to mention, which sand colors are best? We recommend choosing one brighter colour and one lighter colour for your Sand Ceremony. This way the two colours will contrast nicely with each other when as they are combined together throughout the ceremony. It is also important to remember that because over time your sand will shift – creating new patterns – that you pour your first few layers thicker to showcase the first layers before they have been blended. This will create a better long lasting effect for the overall blending of the sand. In time your sand will continue to blend and the patterns will change. This is symbolic of the couple and family becoming blended and united over time.